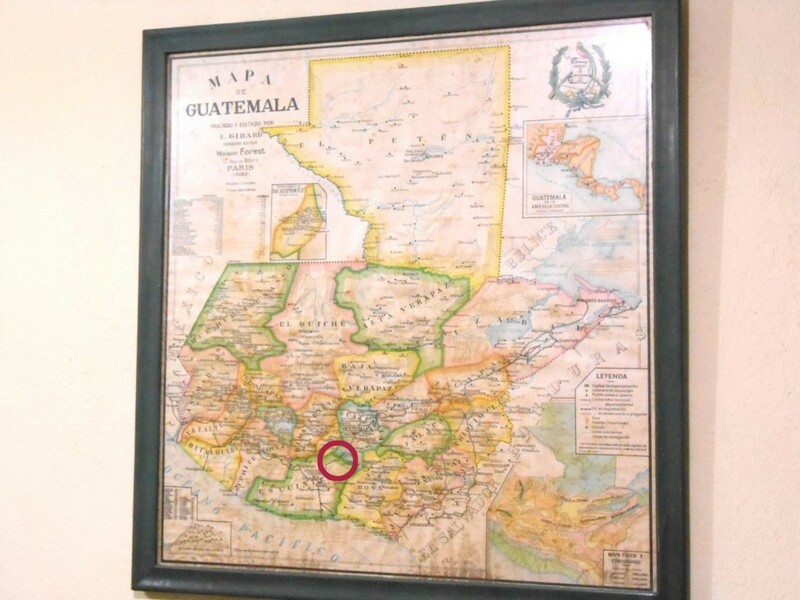 Palín is south of Guatemala City on the highway down to the coast. 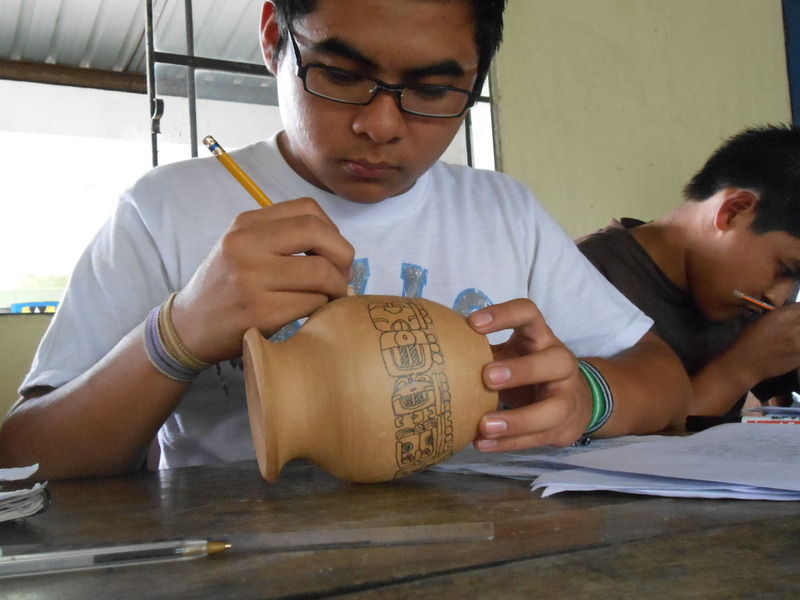 Maya epigrapher Waykan Benito teaches glyphs using pottery as a medium. 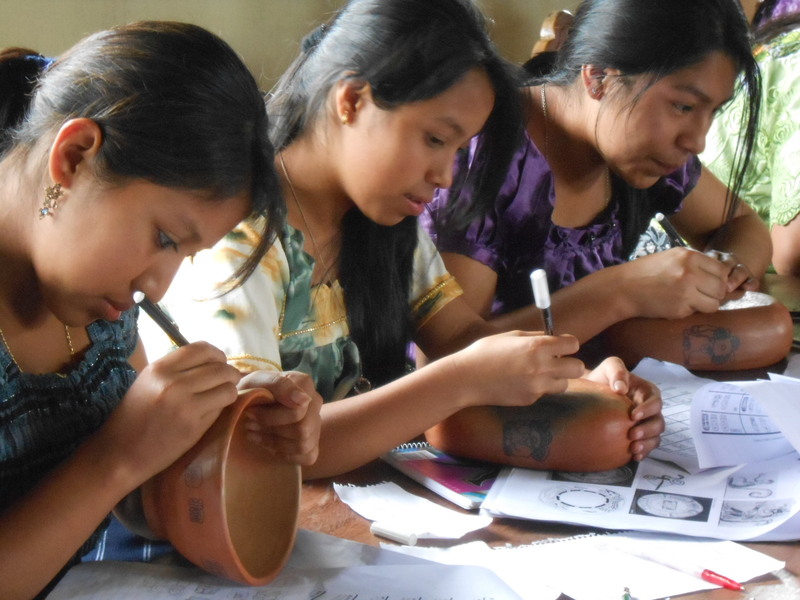 Supplies for this workshop were purchased using a grant from MAM. Thank you dear readers. 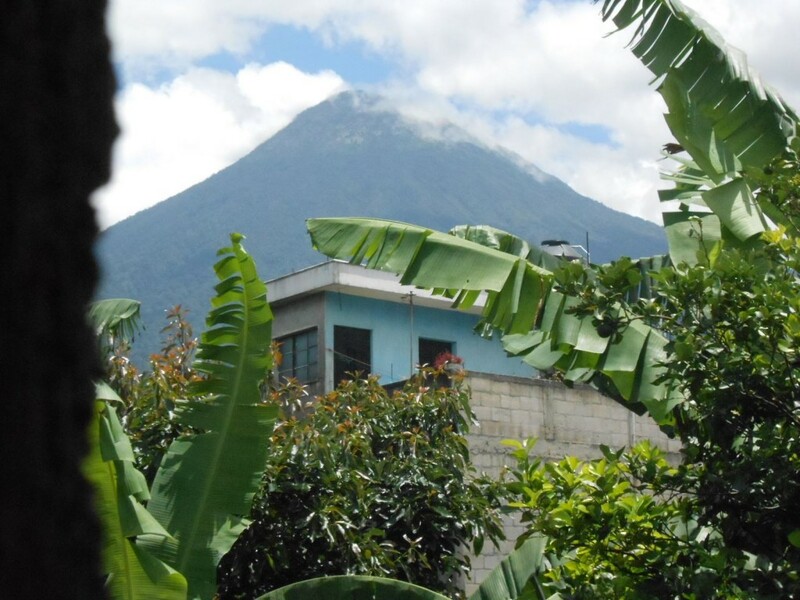 Poqomam Maya live in the shadow of Junajpu, also known as Volcán de Agua. 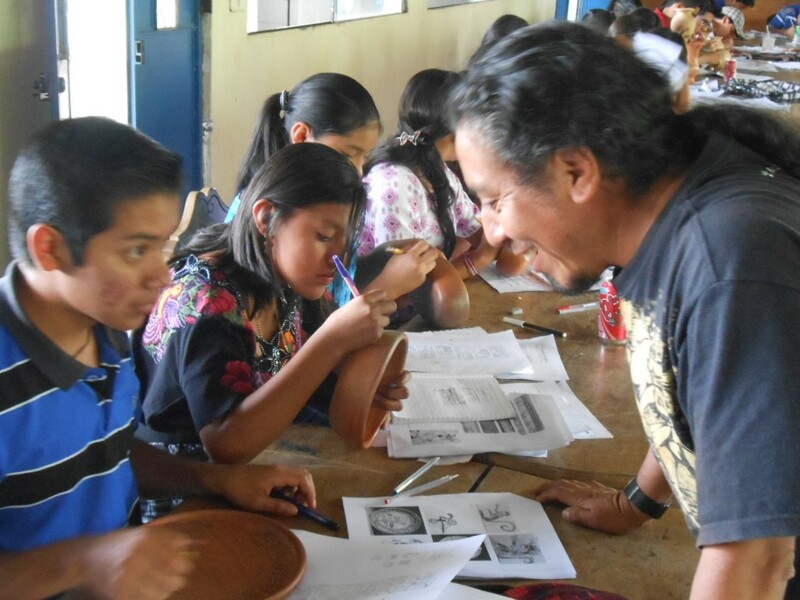 Recalling their ancestors from more than 1000 years, contemporary Poqomam learn the ancient calendar. 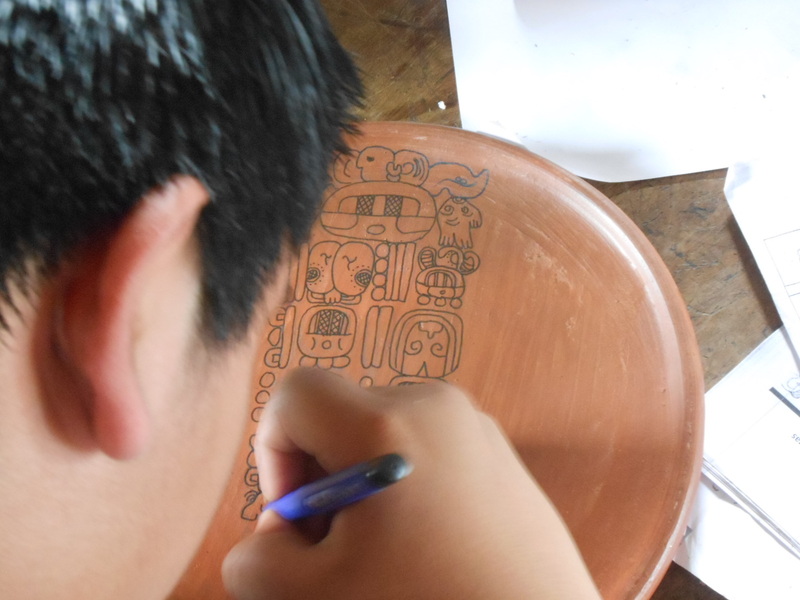 The Long Count of the Maya calendar has come back to life. 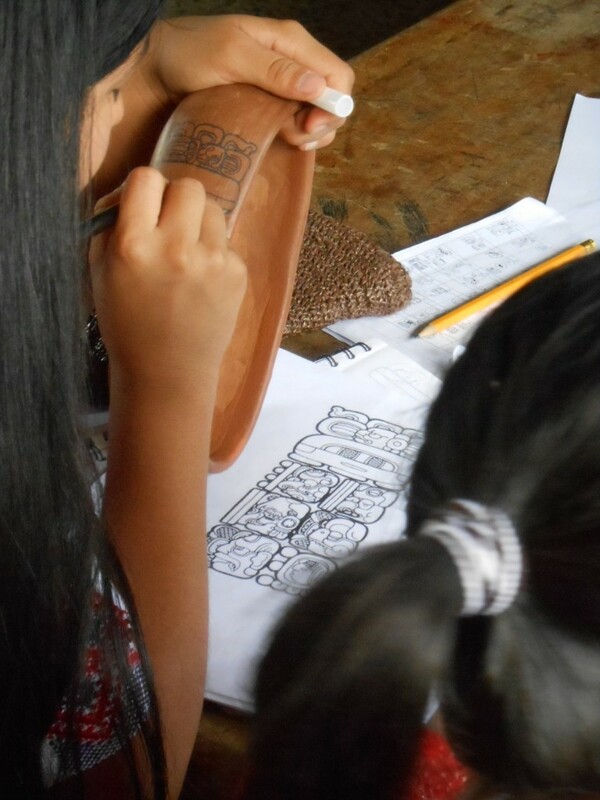 Future Maya leaders “get it”. A photo like this needs no words. I look in awe. Waykan in action; teaching, encouraging, leading with charisma, humor, and spirit. 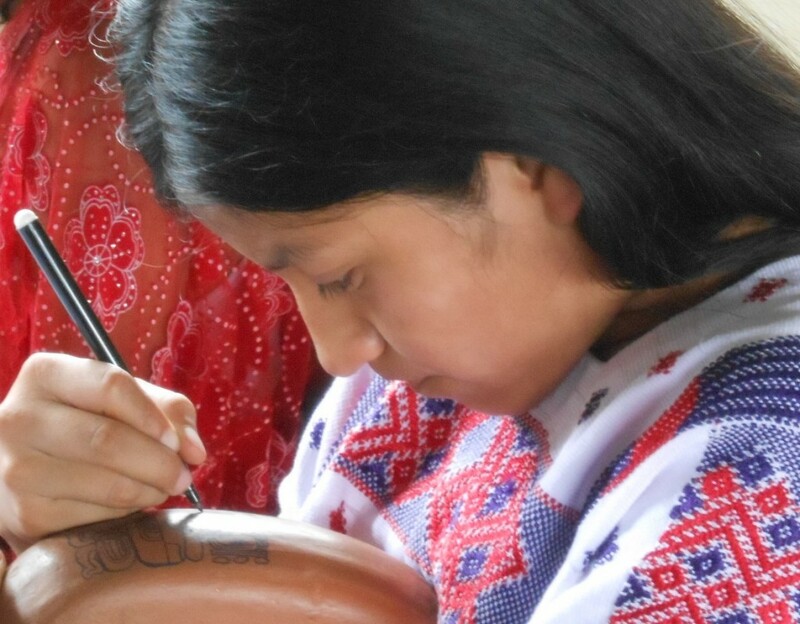 Play this video to eavesdrop on the excitement, all in the Poqomam language.